WESTFIELD, Massachusetts - October 12, 2018 - The customization and precision competitive shooters need to finish at the top of every event are engineered into all facets of Savage’s new MSR 10 Competition HD. Shipments of these new rifles have been delivered to dealers. 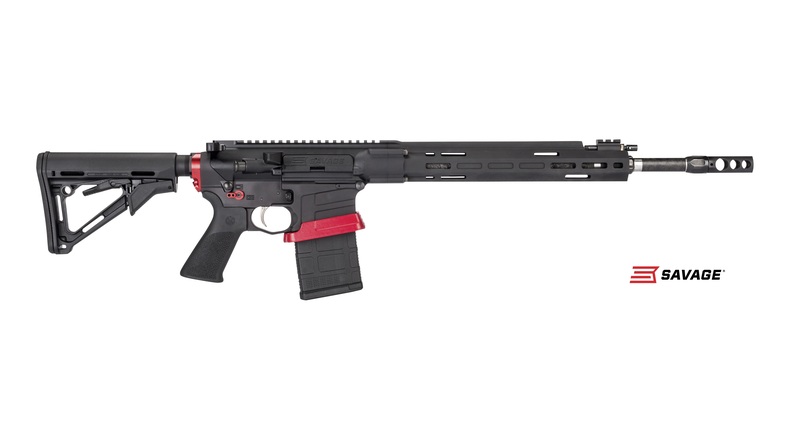 The MSR 10 Competition HD features an advanced barrel built specifically for the rifle in a collaborative effort between Savage and PROOF Research. The unique ported muzzle brake allows the shooter to tune the recoil impulse to stabilize the muzzle for faster, more accurate follow-up shots. Further customization follows with the gas block, which can be adjusted for optimal cycling of the full range of bullet weights, as well as for use with a suppressor. The gas block is also wrapped in a custom handguard and topped with an integral Picatinny rail.